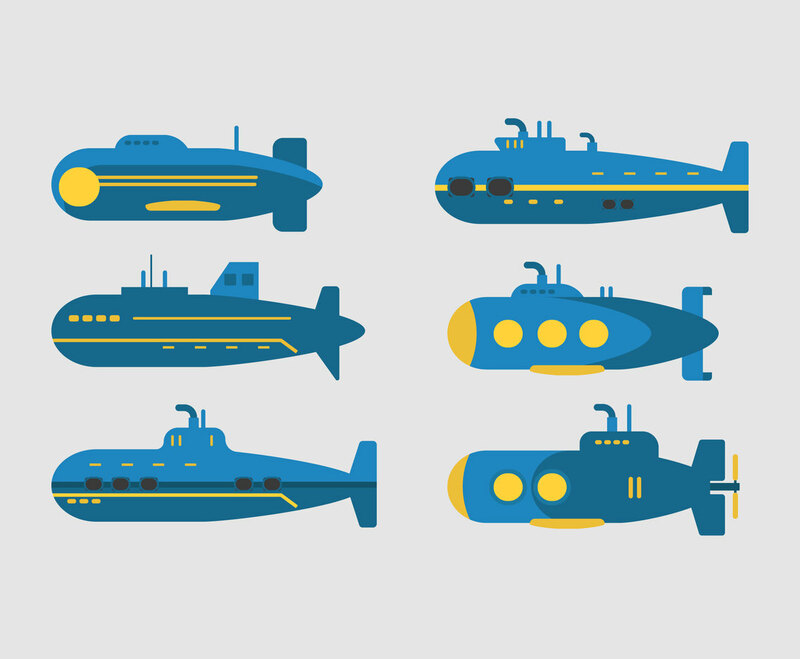 Check this submarines vector illustration. It has blue color and a bit of yellow accent in several variation. Perfect for kids illustration related to under water theme or water transport design.